This Jaguar XE has a dependable Intercooled Turbo Premium Unleaded I-4 2.0 L/122 engine powering this Automatic transmission. WHEELS: 19 X 7.5 FR & 19 X 8.5 RR (STYLE 5031) -inc: 5 split-spoke w/diamond turned finish, Tires: 225/40R19 Front & 255/35R19 Rear AS, TECHNOLOGY PACK -inc: Radio: AM/FM/HD w/InControl Touch Pro Nav System, single CD/DVD player, 60GB solid state drive (10GB user media storage) and additional USB socket (replaces AUX in) in central cubby box ICP, InControl Touch PRO (infotainment system), InControl PRO Services w/connected navigation: real time traffic route, route planner app, arrival mode, destination sharing, street and satellite views, fuel prices, Live services: news, finance, sports, Google send to car, weather, flight tracker, voice dictation, WiFi hotspot, Meridian surround sound system, 12.3 full digital instrument panel and 10.2 capacitive multi-touch display, HEATED FRONT WINDSCREEN -inc: heated washer jets. 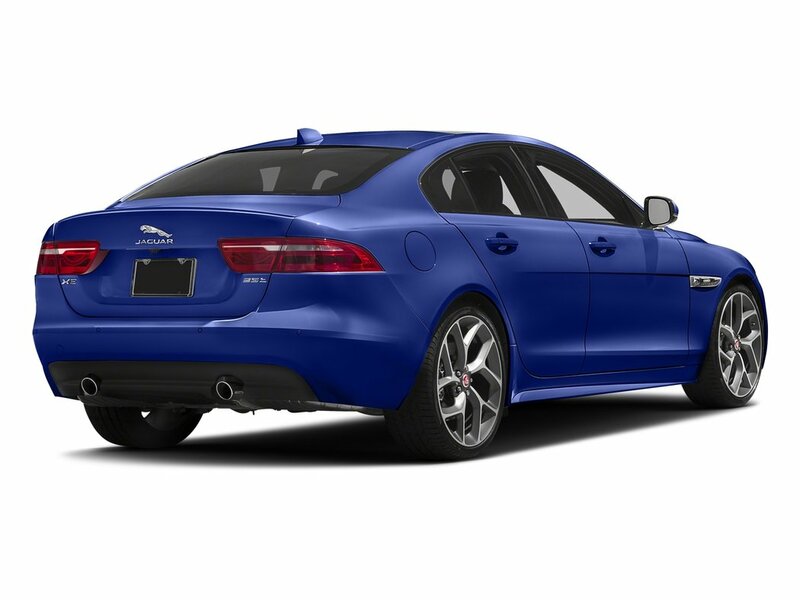 *These Packages Will Make Your Jaguar XE R-Sport the Envy of Onlookers*EBONY/ECLIPSE BLUE, PERFORATED GRAINED LEATHER SEAT TRIM -inc: contrast stitching, DRIVER ASSISTANCE PACK -inc: Adaptive Cruise Control (ACC) w/Forward Alert, queue assist, intelligent emergency braking and follow mode off, Blind Spot Assist, Traffic Sign Recognition w/Adaptive Speed Limiter, Surround Camera System, Gloss Black Grille w/Satin Chrome Surround, Park Assist, 360 Degree Parking Aid, CAESIUM BLUE METALLIC, BLACK PACK -inc: gloss black side vents, Gloss Black Side Window Surround, Gloss Black Grille, surround, Wheels w/Silver Accents, Valet Function, Trunk Rear Cargo Access, Trip Computer, Transmission: 8-Speed Automatic, Transmission w/Driver Selectable Mode and Jaguar Sequential Shift Sequential Shift Control w/Steering Wheel Controls, Tires: 225/45R18 AS, Tire Specific Low Tire Pressure Warning, Systems Monitor, Sport Heated Leather/Metal-Look Steering Wheel w/Auto Tilt-Away, Smart Device Integration. 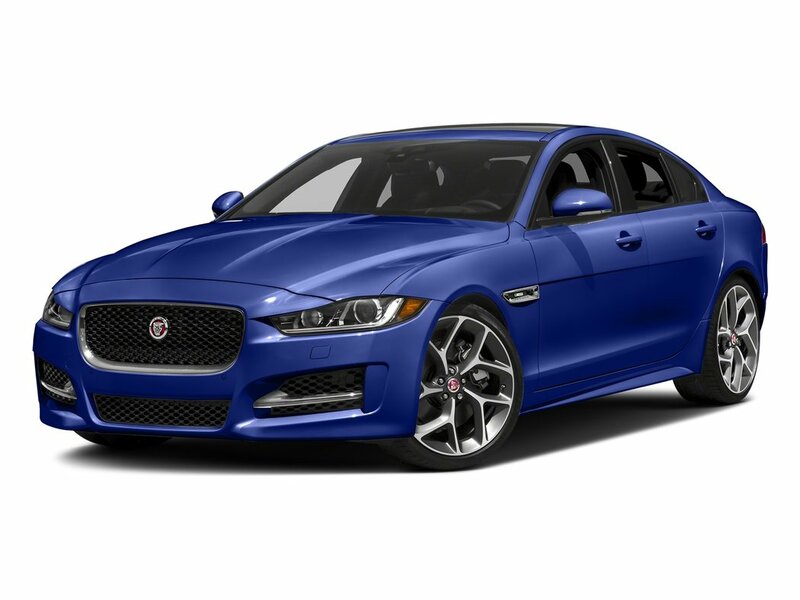 * Visit Us Today *Test drive this must-see, must-drive, must-own beauty today at Jaguar Land Rover Lakeridge, 280 Achilles Rd, Ajax, ON L1S 7S3.USB socket, Meridian surround sound system, Blind Spot AssistThis Jaguar XE has a dependable Intercooled Turbo Premium Unleaded I-4 2.0 L/122 engine powering this Automatic transmission. WHEELS: 19 X 7.5 FR & 19 X 8.5 RR (STYLE 5031) -inc: 5 split-spoke w/diamond turned finish, Tires: P225/40R19H Front P255/35R19H Rear AS, TECHNOLOGY PACK -inc: Radio: AM/FM/HD w/InControl Touch Pro Nav System, single CD/DVD player, 60GB solid state drive (10GB user media storage) and additional USB socket (replaces AUX in) in central cubby box ICP, InControl Touch PRO (infotainment system), InControl PRO Services w/connected navigation: real time traffic route, route planner app, arrival mode, destination sharing, street and satellite views, fuel prices, Live services: news, finance, sports, Google send to car, weather, flight tracker, voice dictation, WiFi hotspot, Meridian surround sound system, 12.3 full digital instrument panel and 10.2 capacitive multi-touch display, HEATED FRONT WINDSCREEN -inc: heated washer jets. 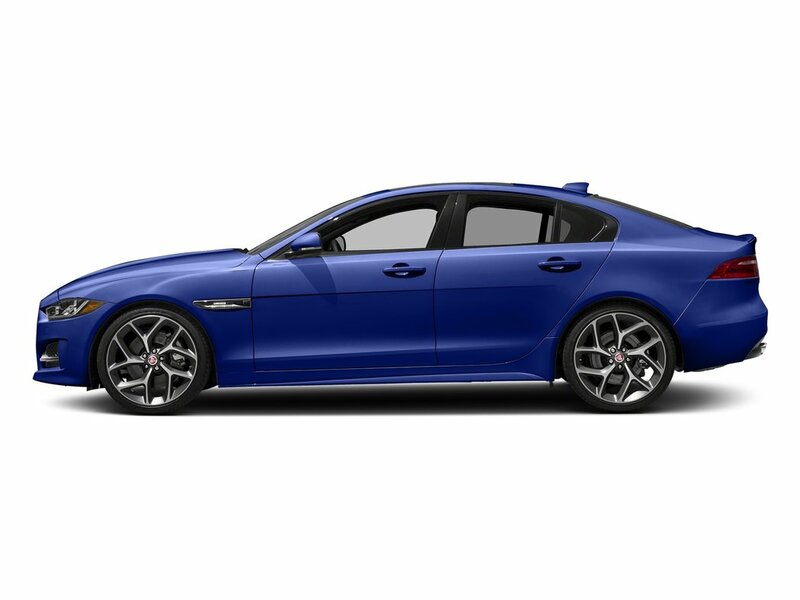 *Drive Your Jaguar XE R-Sport in Luxury with These Packages*EBONY/ECLIPSE BLUE, PERFORATED GRAINED LEATHER SEAT TRIM -inc: contrast stitching, DRIVER ASSISTANCE PACK -inc: Adaptive Cruise Control (ACC) w/Forward Alert, queue assist, intelligent emergency braking and follow mode off, Blind Spot Assist, Traffic Sign Recognition w/Adaptive Speed Limiter, Surround Camera System, Gloss Black Grille w/Satin Chrome Surround, Park Assist, 360 Degree Parking Aid, CAESIUM BLUE METALLIC, BLACK PACK -inc: gloss black side vents, Gloss Black Side Window Surround, Gloss Black Grille, surround, Wheels w/Silver Accents, Valet Function, Trunk Rear Cargo Access, Trip Computer, Transmission: 8-Speed Automatic, Transmission w/Driver Selectable Mode and Jaguar Sequential Shift Sequential Shift Control w/Steering Wheel Controls, Tires: P225/45R18H AS, Tire Specific Low Tire Pressure Warning, Systems Monitor, Sport Heated Leather/Metal-Look Steering Wheel w/Auto Tilt-Away, SiriusXM Satellite Radio. *Visit Us Today *For a must-own Jaguar XE come see us at Jaguar Land Rover Lakeridge, 280 Achilles Rd, Ajax, ON L1S 7S3. Just minutes away!Prices include all fees except licensing and HST.